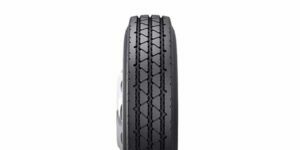 Bridgestone Americas Inc. announced a new addition to its existing lineup of Bandag retread offerings. The Bandag BRSS all-position retread is designed for fleets that work in on and off-road environments, from pavement to dirt and gravel. Engineered for long wear life on multiple surfaces, the Bandag BRSS retread is a reliable solution for fleets looking to extend tire life and capitalize on the full performance potential of tire casings. An optimized tread design to discourage stone retention. To learn more about the Bandag BRSS retread, click here.